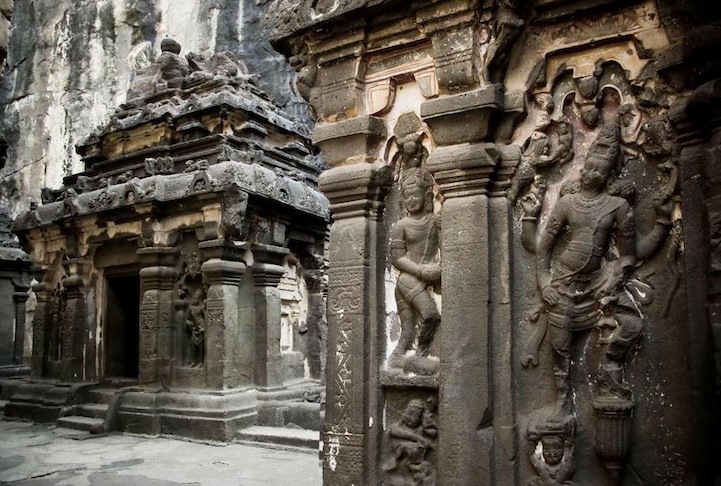 Ellora caves located at Aurangabad Maharashtra have a mysterious Kailasa temple of Lord Shiva. The construction and architecture of this ancient temple are one of the greatest archaeological mysteries of the 21st century. 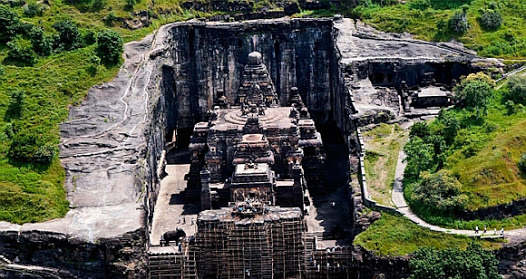 The Kailasa temple is a monolithic carved structure. That’s right! The whole temple was hollowed from a single large rock. The temple lacks the adequately dedicated inscription. But this large sculpture was believed to be carved in the 8th century, thousands of years ago by Rashtrakuta King Krishna I. This is based on the two epigrams found inside the temple. However, at that time, it was impossible to construct such a massive architecture just by hammers and chisels. Vertical excavation technique built with the top-bottom approach. The exquisite carvings in the temple must have required a substantial skilled and unskilled labor with intelligent mathematicians and engineers. Read also: Did You Know About These Best World Heritage Sites In India? Some people think that it takes about 18 years to build the temple. But in 18 years also it is not that easy!! The mystery is not only about the architecture but also about the scooped-out rock and sand. When the temple was made, large pieces of rocks must have carved out to give it a shape of Kailash mountain range. So now the question arises that where are those stones now? Archaeologists have found no traces of such large chunks of rocks and sand around the temple premises. What type of technology it was that evaporated those unwanted large rocks. There are many such megalithic sculptures, but Kailasa temple is most extensive of all. 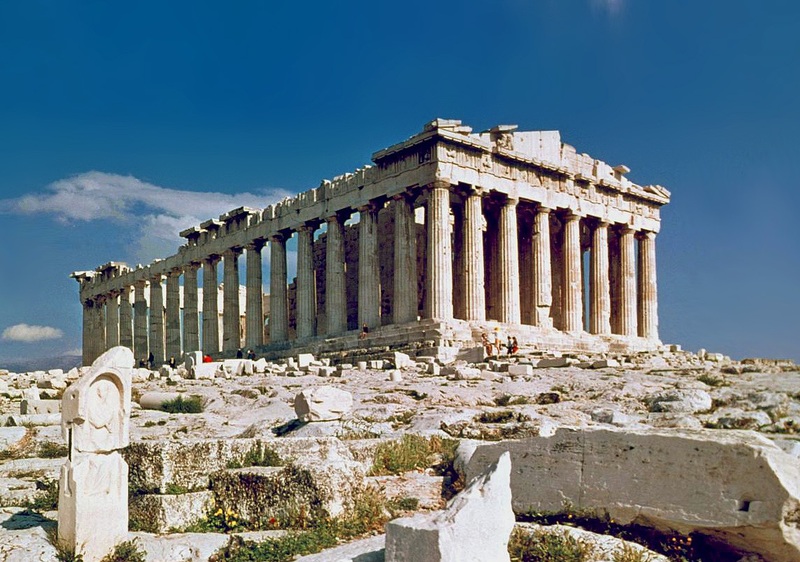 A similar megalithic structure is Parthenon, in Greece (image below). Kailasa temple is about double the height of Parthenon, and hence the largest of all the megaliths discovered till now. There are strange tunnels into the temple which leads archaeologists to think about the vast underground city which could be there. Some people connect this thing to extra-terrestrial existence. Because to build such a large architecture without any technology is not the easy task. It is possible that someone at that time has helped us with their technologies and techniques. 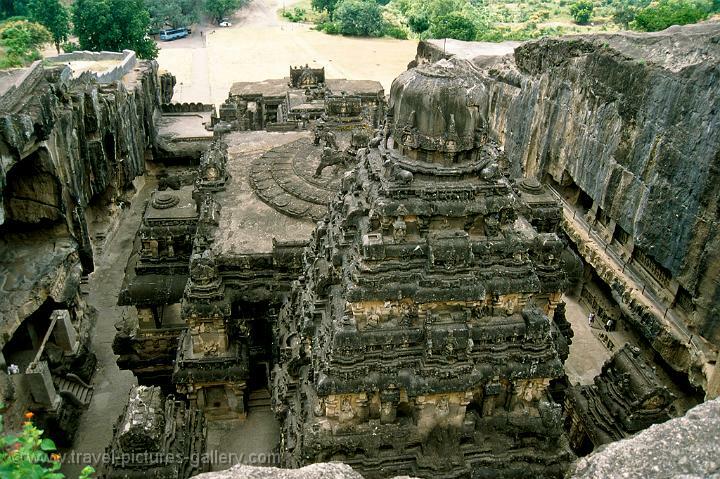 The mystery of Kailasa temple is still unresolved, leaving behind many such questions. Have you heard about the Yanomami’s ash soup?